Here is a list of YouTube Partner Networks that accept applications. There are other Partner Networks who don't accept applications, so there's no need to list them here. It may not be the most exhaustive list, but it does give you enough Networks to choose from, if you want to go down that road. YouTube Partner Program. This is the partnership that I discuss in How To Become A YouTube Partner. It is different than what people are looking for if they look to join a Partner Network. Creator X. Certainly one of the best options for “emerging channels”. If you have quality content and are just starting to monetize but growing at a decent pace, both in subs and views, you need to check out Creator X, a subnetwork of Fullscreen, aimed entry-level users. TGN. Maybe one of the most popular YouTube gaming networks, TGN accepts both major channels and small channels, as long as your account is in good standing. Exonia. This network is good for creators of any niche or category that want to start monetizing their channels without risking their adsense accounts. 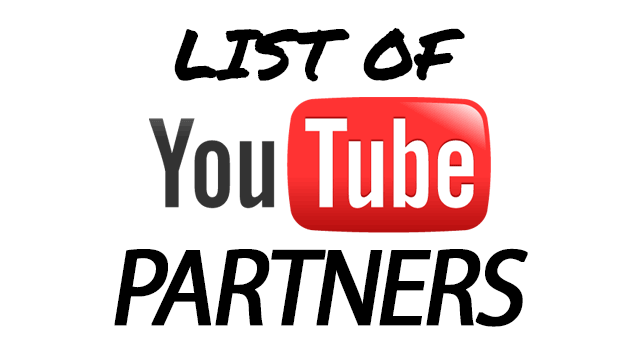 They are not backed by a major partner but still are trustworthy and have been a YT partner for a long time. Exonia has plenty of reviews all around the web and none talks bad things about them. I’ll be releasing them in the next few weeks, and will have training videos for them beforehand for their release. Thanks for your interest and I’ll get them to you as quickly as possible. Ok, just do a search for them, or put a .com on the end of their name, and you’ll find them. They usually have a form and requirements for you on their site so you know what they’re looking for. Hey I really like to do reviews of headphones and other electronic stuff do you know witch partner would be good and what is I was just starting out do you have any tips ? I don’t have any experience of any of the Partner Networks, so I don’t know which one would be best for you. The best thing to do is to look at each of them and see which one appeals to you. Networks each have a different focus, so you’ll see quickly which one is right for you, or not. That’s all I can really recommend. As for what to do since you’re starting out..? The best thing to do is to watch all the videos on this site. 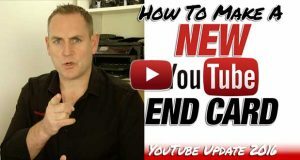 They cover all different areas of YouTube and what to do with your videos, etc. what is best for a growing wrestling channel? I don’t know much about the Partner Networks, so I can’t really tell you which one is best for a growing wrestling channel. The best thing to do is to have a look at each of them and see which one is best. Just by having a quick look, you’ll soon see which one is for you or not. Make a short list of ones to look at further and contact them to see if your content is what they’re looking for on their network. That’s probably the best action to take. The best way is to create videos that people are looking for. Do your keyword research to see what videos have high searches and then create videos with those titles. Get some backlinks to those videos and get your friends and family to watch them, and it’ll be a start to getting things going for you. You need to be consistent with your videos, uploading them on a regular basis. This will help YouTube include you as one of those channels that they want to promote, as you’re helping them with content regularly. The next thing is to Subscribe to my channel, which brings you tips and tricks every week to get more views and subscribers to your channel. There are many videos here to help, so explore them and you’ll get a good idea of what to do. my question is much the same as the previous one. I’m still pretty new and want to become more emerge with my YouTube and get more subscribers but i don’t know how. I was wondering how one might get more sponsoring. 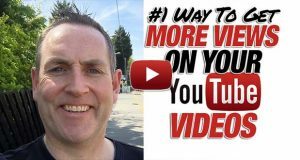 The best way to get more views and subscribers is by creating content people want to watch that gives loads of value and that uses search terms in the title that people are searching for. This is the easiest way to get views and subscribers. Then you got to be consistent in uploading. If you do once a week, stick with once a week. If you do once every 2 weeks, then stick with that. Whatever you do, keep it the same. When you do these things, YouTube reward you with putting your video as a recommended video on other videos on YouTube. The more you get on these, the more people learn about you, your videos, etc and start to like, comment, share and subscribe. Focus on that, and you’ll get what you want after a while. YouTube Partner Networks are a threat to the YouTube Community. I recommend you avoid them. Please could you tell me what title I would come under as in the list for the youtube partners. I am new to youtube but have been on over 30 days and my videos are set around beauty and fashion. I have no idea what title you would come under. I don’t know your channel, what you do or which Network is right for you. What Can I Use For soccer Videos ????? hi David Am from Barbados and monetization from youtube s not launched in my country. do you know of another way ? I’ve heard that some people have changed their country to get Monetization on their Channel. Thanks for this and for the”how to become a partner” post too. 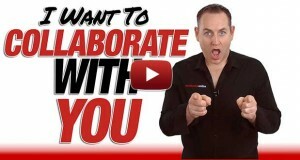 Is the best way to make money from youtube to join a partner network? or would you recommend just becoming a youtube “partner”? Being a Partner either way is pretty much the same. It’s getting to the point where YouTube will be setting up their own Networks, and getting people away from these external ones. Which network you think would take me from the beginning (I’m start doing videos in a week) and I wanna have a network that will accept me from the start, and if u need to know the types of videos I’ll be doing are mostly entertainment (videos like jennxpenn) and sometimes tags, challenges pranks but mostly videos like very popular… So what network is good for me and will take me from the beginning? If you’re beginning, Networks won’t be interested in you. They want channels with views and subscribers. You don’t have either. Don’t bother with a Network until you have about 2500-5000 subscribers. They won’t be really interested until you have put the work in and built up your channel. Hi david. Im new to youtube gaming and i was wondering how apply for these partnerships. If you’re new, you’re not going to get accepted. You need to work at your Channel, get tens of thousands of views and a couple thousand Subscribers. Put the work in and the Networks will come after you. I have no idea which ones pay my cheque. I’m not sure any of them will. They mostly pay by PayPal. You’ll need to contact them directly to find out if they pay by cheque. They may have details on their respective websites. I’m still new, uploaded my first cover yesterday, looking into increasing views and subscriptions! Your tips and advice are great starters! Keep it up. I’m looking forward to seeing you be a star soon. I’m not familiar with the Networks and I can’t really tell you who’s best for what. You’d have to look at them and see what’s what on there. Some of the bigger Networks aren’t just about Gamers, etc. Zoomin, I think it’s called, has many different topics on there, which is one that may be good for you. hi david a want a ask u how much can i earn when i become a youtube partner ! and who will pay me youtube or the Partners Networks sites !! How much you earn depends on how may views you get. You’ll get approx $1 for every 1000 new views you get on your videos. Hey David do you have any partnership recommendations for an outdoor survival type channel? As I mentioned in previous comments, I’m not familiar with Networks that much. Zoomin.tv is one I’ve come across that isn’t specifically for Gamers or Music and has a broad spectrum or creators on there. Check them out, they’ve got a pretty good revenue split too I believe. Isn’t VEVO a partner network as well? If you’re a verified Partner with YouTube then that’s all you need. You don’t need to worry about Full Partnership or anything as things have changed with Partnership. So keep adding your videos regularly that people want to see with good titles and descriptions and you’ll be doing fine. I am a CEO of UMTV Network. Our team would love to have us listed on your networks list (our network is universal, accepting diverse content creators). Our split is 70% for partners. Average CPM is 5-10$. You don’t have to be 18 to join a Network. I know of some kids who are 13-14 joining networks and they’re ok.
It’s only when you’re looking to get Monetization on YouTube itself do you need to be 18, or have someone who is. hello i want a sponsor that give me stuff for review and pay me for video’s do you know how that can? Well Tigo, you need to have a lot of views on your videos and plenty of Subscribers to have Sponsors want to pay you to review their stuff. You need to do the work in building up your Channel so it’s an advantage for them to give you stuff to review. No one’s going to pay you when you’ve only got 100 views and 3 Subscribers. If you’re using video from TV say from Premiere League, then you’re going to get taken off. The footage belongs to the TV Channel and they’ll issue you a Copyright Notice straight away. Hi I would like to know how YouTube will pay me, do they send the money to my house, mailbox, or bank? and how will YouTube inform me when i will get payed? YouTube send the money to your bank in most countries, or if not, they will send you a cheque. You need to connect a Google AdSense account to your YouTube Channel and once you’re all verified and they have your payment details, they’ll send you some moolah! Hi, do you know if it is legal for International Students to make money off of youtube videos? or will they require some type of visa such as working, business etc? You can make money from YouTube anywhere in the World. Does age matter when applying for one of these. Partnership networks? You have to be careful with some of them. I have heard of many showing and popping up as scammers vs legit companies and known names. I’m a rapper and I have 1,472 subscribers and 35,000+ views, however I want a Network. Does it matter which one I choose? E.G. I rap but applied for gaming Networks. I haven’t actually done that, however would it still be possible to join ANY Network? It can matter which Network you apply to. They prefer to have content that’s similar, as they’re appealing to a particular audience. One I would recommend for you is ZoominTV. They in Holland and cover different areas of content. I’ve seen some success with those guys and they seem to be pretty good. I don’t know what their criteria is, so contact them and see if you’re a fit for each other. Okay thank you David, I’ll get in touch with them right now. Thank you for your services. hi I just made my youtube channel I was wondering if there are any specific requirements or prequisites that would stop me from getting the partnership with any certain YouTube partners and stopping me from monetizing my videos. an example of what I mean would be saying such as how many subscribers I already have videos I uploaded my age and the content of my videos??????? Different YouTubers will have different requirements. You’ll have to look at them individually. Obviously the bigger and older they are, the less likely they’re going to want to work with a small guy staring out. Get people around your size and a bit bigger and then work your way up. That’s what I recommend, as it’ll work. Very nice Article…I have a small doubt. I have a youtube channel. My doubt is What is the procedure to get Youtube CMS account? If u know please tell me. How do you mean a YouTube CMS Account? Everyone has the same access in YouTube, so whatever you’re looking for should be available on your Channel. If you can be a bit more specific as to what you’re looking for, I may be able to help. What network would be good for a new channel wanting to post pranks, and challenges? Networks vary a lot. All I can suggest is to go through the list and see which one seems a right fit for you. Hello for not leaving my full name , but it didn’t really seem necessary to use it anyway. I am asking this so I can clear something that’s been bothering me ever since I thought of starting youtube. So , monetization is not available in my country , so I don’t think I can make a google-adsense account basically. However , people told me that by joining a network , the network ill monetize the videos for me and the country issue won’t be a problem. Is this true? Or is youtubing a dead dream since Youtube has no monetization in my contry? You can have an AdSense account in your country. AdSense is available in most countries. I’ve heard that you can change the country on your Channel and that it could help you get Monetization. So you could try that, and then connect your AdSense account to your Channel. Whatever you do, make sure that your AdSense account has your correct details on there. If you get approved by a Network, yes, they’ll help you get around this Monetization issue. They typically send you your revenue by PayPal every month, so any money you get will go into your PayPal account, which you can then transfer to your bank account. So there ya go, hope it answers your question. So the monetization issue via youtube will be no problem? Great! Which Sub-Network would you recommend? Nope, shouldn’t be an issue. I can’t recommend any really, as I don’t have much experience with them. Check out the reviews on them and see which ones suit you. I can tell you that BroadBandTV aren’t great and they tie you into a 24 month contract. ZoominTV have been good with some Channels I’ve worked on, so you might want to check them out. Could you add Amanethe Media to the list? Can you send me some information about being able to run your own Network. I’d like to do a video on this service if it lives up to its promise. When you follow what I’ve got on this site or my Channel on getting more views and Subscribers, that’ll help you get what you’re looking for. You need to be consistent and persistent. Keep at it consistently and persist past the crap and you’ll get there. has an enormous online presence and we see massive potential within the deal. BBTV are in big acquisition mode now, so it’ll be interesting to see what happens with them. I want to ask you how about Freedom, is it a good partner ? Because so many scam video about it ? I have no experience with Freedom, so I can’t say. Make sure to check up on them as much as you can before you make a decision to join. Also read their contract and their terms and conditions. Make sure it’s something you’re willing to work with.